La Mercè Festival is the biggest festival of the year in Barcelona. Signifying the end of the summer, the party goes on for four whole days, starting on 21th of September and ending on 24th, which is the actual a day of feasting and a public holiday. 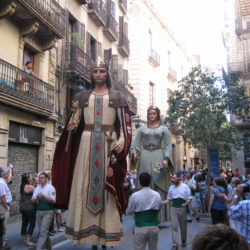 The festival has been celebrated since 1687, when, according to the legend, the patron saint Mare de Déu de la Mercè freed Barcelona from a plague of locusts. The thankful residents of the city decided to honor her by celebrating to the fullest on the anniversary of her great act. 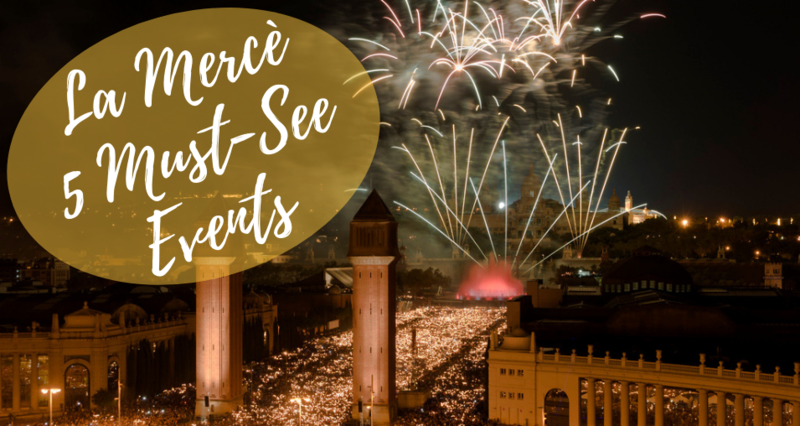 This post lists our recommendations for the 5 Must-See Events at the La Mercè Festival. To fully understand what La Mercè is all about, you have to be there yourself. The festival is made up of various events and to experience them all over the course of four days would probably be an impossible task. 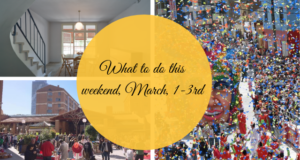 So we have narrowed it down to the must-sees! This year, Toc d’Inici celebrates the 25th anniversary, but it is also added to the commemoration of the Centenary of the New Giants of the Casa de la Caridad or of Corpus of Barcelona. You can see new musical adaptations and many surprises. As every year, the figures that participated in the inaugural procession leave the City Hall and get ready to dance their dances. 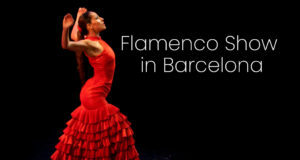 What musicians do you know about the melodies that accompany the dances of each figure? Well, the forty members of the Ministries of Camí Ral, a training that only touches once a year: to open La Mercè. See how the figures dance and how they make a last lap to the square before returning to the Virreina Palace, while on the roof of the Town Hall, the pyrotechnic explosions that mark the start of the festival sound. If you´re searching for the accommodation near Plaza Sant Jaume, check out our Apartments in El Born and our Accommodations in Barri Gotic. One of the most special moments of the Mercè is the streets of the city. Listen to the drums of a very special group of traditional percussion that was joined only to give the kick-off of this year’s event (pl. Ramon Berenguer), attending the lighting and opening of the Puerta de l Hell and let hell out hell beasts and the whole hell of devils who have come from all over the city. It is the time of the celebration, when the devil’s groups that participate in the festival will light their ceptrots and, with their banners and forks, will begin to advance relentlessly for the asphalt normally reserved for Barcelona residents. Firecrackers, explosions, evil beasts … Yes, this is a party (and it’s not a joke) to live it with such intensity as prudence. See not taking unnecessary risks and measure your possibilities! From its provisional address to the Barcelona Shipyards, the giants and their giants go to the Plaza de Sant Jaume, where they will spend the night attending, on time, to the meeting they have the next day. But they will take the walk to celebrate the fat. Would you like to add it? 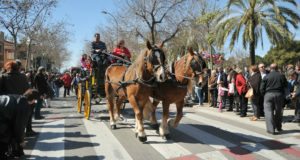 Come and follow them on your route through the streets of Ciutat Vella. The Palau de la Virreina is the starting point for a tour of the groups of castellers invited by the hosts: the Castellers de Barcelona. 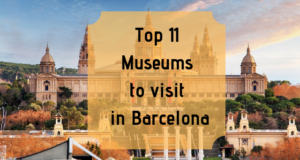 The people of Barcelona and their guests -Miños de Terrassa and Colla Joves Xiquets de Valls- go to the Plaza de Sant Jaume to make the most spectacular buildings. If you like castles, this is the occasion to check the high level of all three formations. 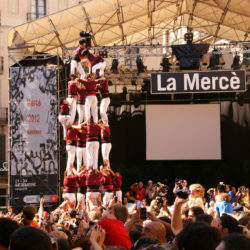 This show can be seen on Plaça de Sant Jaume in Ciutat Vella (the same location as Toc d’Inici). The area will once again be packed with people. 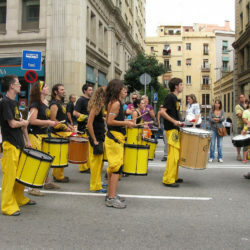 The Festa Major is over, but this farewell, which could be a sad moment, is one of the most anticipated developments for Barcelona residents, who do not want to lose the spectacle of fire and colors that they have prepared once plus the same Pyrotechnics to accompany the selected soundtrack to enjoy a unique and unrepeatable spectacle. You will see: Portuguese songs will sound, and in particular, music related to Lisbon, the city invited by language. But there will also be moments to remember the events of the year: remembering the soundtrack of May 68, the 50th Jazz in Barcelona, as well as the collection of the best music that have gone through Mercè d’enguany. In addition to these events, we recommend checking out BAM – Barcelona Accio Musical, a music festival taking place during La Mercè in various locations on the 21st and 22nd of September, the Espai Cultura Viva. This space gives visibility to projects that approach music through interaction and experimentation, with a special emphasis on the values of the social and solidarity economy.